Our little old home in the city has many cute storage features. I love the look of built in shelves and it’s been so fun to play around with styling ours, including all of our sentimental knick knacks and items we’ve been collecting together. Our decorated shelves hold memories, remind us of our travels, and are filled with items that we love. ...And book ends. I found ours at a local boutique, and they are simple solid wood. Framed photos / art. We are still thinking of incorporating photos of us, but for now have a cute print of our home from Minted, and some other meaningful art that fit nicely on the shelf space. Natural elements. This can range from fresh flowers (or faux flowers, like ours from PB) and plants, to crystals (my favorite), and other found items. We have an awesome chunk of burl wood I bought at my company’s warehouse sale and it’s one of my favorite items. One-of-a-kind objects. We have more of these finds than we can count, but we both love thrift and antique shopping and have found some pretty special items. The vintage carved Japanese bear figurine is probably our favorite. 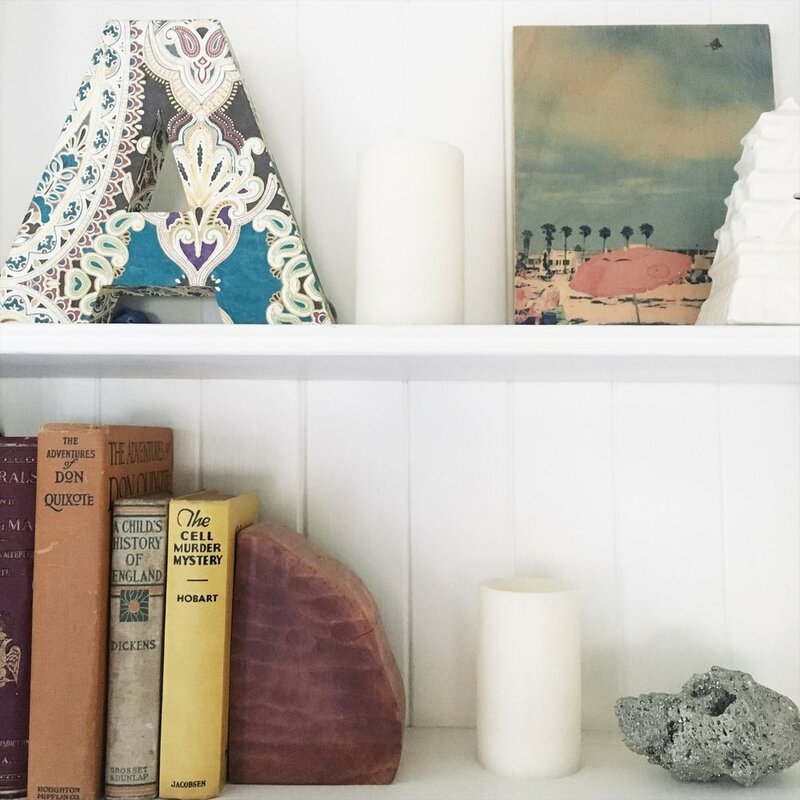 What are your "shelfie" essentials and styling tips?